Lisa Ruiz was selected as the Faculty Focus Friday employee for high schools. Lisa is the first person everyone sees as they enter West Valley High School. 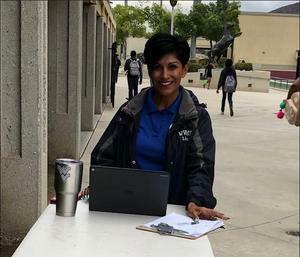 She greets visitors while answering questions and directing them to the appropriate destination and is the first person students see in the morning as she greets them with a smile and checks their identification in an effort to keep our campus safe. She is helpful and always lends a hand to her peers when they are in need of assistance. Lisa takes her job responsibilities seriously and treats everyone professionally. 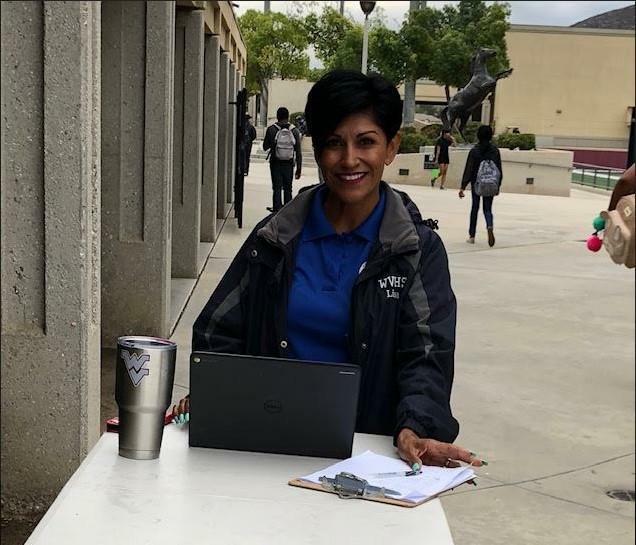 She is always willing to listen and help students, staff, parents, and visitors while at the same time enforcing school policy and procedures. Her professionalism is a positive reflection of our school and she is truly a valued member of the Mustang team. Thank you for everything that you do in order to keep the students and staff at West Valley safe!